Commonly associated with toilets and figurines, porcelain can also be found in other areas around the home. Porcelain tile can be found on countertops, shower walls or anywhere else you can think of – and it can be a wonderful accent to your room. Porcelain tile comes from the ceramic tile family. The differences that makes porcelain unique is that it is made from a finer, denser clay and it is also fired at higher temperatures. 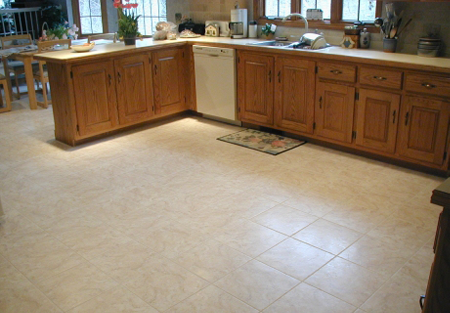 The final product is a tougher tile that is more durable and resistant to stains and scratches. Porcelain tile is an excellent performer, providing good-looking surfaces in a variety of locations. It works well for showers and bathroom walls and it is also great in kitchens as a countertop. One of the best choices for uses of porcelain, however, is for flooring. Porcelain floor tile is a very low-maintenance tile that looks great for years after it is initially installed. It is an excellent choice for high-traffic areas, as it is great for both long-term appearance and durability. There are even some models of porcelain tile that are made to look like stone, offering a strong solution at a great price. Since it is a low-maintenance product that is slow to absorb, cleaning porcelain tile is quite simple. Spills that may seep into other materials and cause stains are no match for porcelain, as these messes can easily be wiped up with a damp cloth. As for the actual maintenance of the product, it generally only needs to be cleaned with water or a mild detergent. For those seeking a nice appearance with little effort, porcelain tile is the perfect match. -Due to the denseness of the clay and the hot temperatures it is fired at, porcelain tile ends up being harder than granite. -The color of porcelain tile is the same throughout the tile, not just the surface. This means that as the tile wears over the years, the color will stay the same. -Porcelain tile is considered a quality building material, meaning it will increase the value of the property. 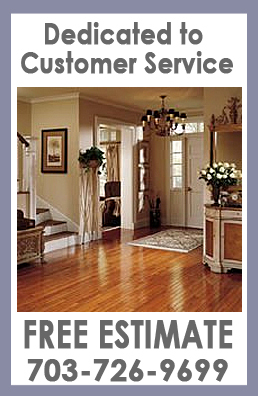 Do you live in northern, VA and want a free estimate for porcelain tile? Or would you just like more information? Either way, call us today! 703-726-9699!